Academy Award® winning director and master storyteller James Cameron journeys back to the site of his greatest inspiration – the legendary wreck of the Titanic. With a team of the world’s foremost historic and marine experts and friend Bill Paxton, he embarks on an unscripted adventure back to the final grave where nearly 1,500 souls lost their lives almost a century ago. Using state-of-the-art technology developed expressly for this expedition, Cameron and his crew are able to explore virtually all of the wreckage, inside and out, as never before. With the most advanced 3D photography, moviegoers will experience the ship as if they are part of the crew, right inside the dive subs. Made exclusively for 3D Imax, 3D Large Format, and 35mm 3D theaters across the country, Cameron and his team bring audiences to sights not seen since the sinking 90 years ago in an overwhelming motion picture that explores why the landmark vessel – more than any shipwreck – continues to intrigue and fascinate the public. By filming the Titanic’s remains with 3D cameras, students examine the nature of exploration itself, traveling into the interior of the Titanic and learning about important considerations in deep-ocean work. 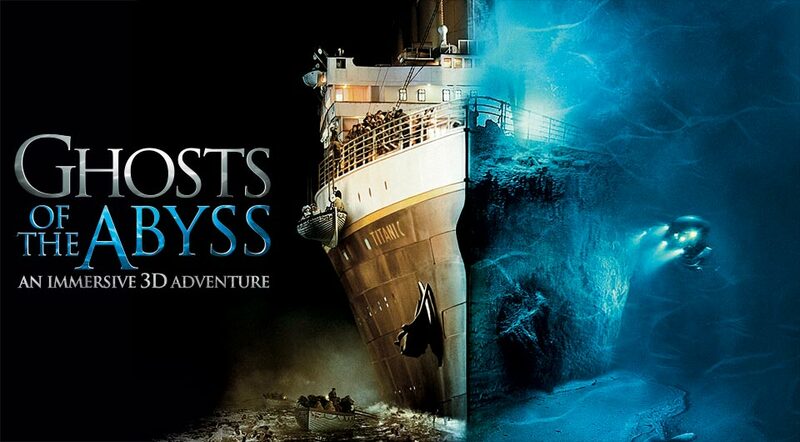 Ghosts of the Abyss Education Guide - The guide is designed to lead students to insight into the challenges that faced a crew of scientists as they explored the world’s most famous shipwreck, the Titanic. We tell stories that recapture the imagination, rekindle curiosity, and demonstrate the rewards of virtue. 1888 Century Park East, 14th Fl. © 2012 Walden Media, LLC and its related entities. All rights reserved.